Just like any other online business, running a law firm prompts you to lay down a good foundation. It is great in attracting leads, establishing a good positive reputation and broadening your client base of your niche. Whether you own a startup or a well-established law firm, having a compelling list blog post ideas is the best move you can take in growing your practice. However, sometimes we run short of ideas to post! There is no magic you can do to create 'HOT' blog post apart from sitting down and writing simple but creative ideas happening around you. Before serving your clients, you must grab their attention by sharing a compelling marketing message with them. Wondering how you can do this? Here are 10 simple blog post ideas you can utilize. 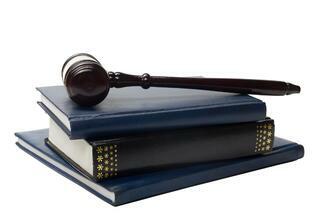 The legal field is dynamic and every other day courts issue new regulations. By keeping your ear around what is trending, you can stay up to date hence becomes easy for you to influence and attract new clients. If you can manage to blog about last night’s court decision, you portray a pretty good picture to your clients. The biggest mistake you can make in law content marketing is to be a "jack of all trades". Sticking to your practice area is a proven method you can advance your client base as well as your overall reputation. Narrow down to your particular niche and blog what is relevant to your potential clients. By doing this, you not only attract your right clients but also solidify your legal brand. If you can realize that the human element is the baseline of your practice and show it to your customers, then you can come up with an engaging and compelling blog post. A big mistake that most law firm bloggers make is to neglect the overall customer experience which is the exciting part of it. Transparency and accountability are two critical elements in any legal practice. The only way your clients will realize your reliability and predict productivity is by assessing your processes. Learn to blog about your legal procedure and come up with an irresistible blog. After completing tasks to clients, you can go an extra mile of thanking them and reminding them that still you can handle other related matters. Show them that you are glad to get another opportunity to serve them or their relatives again through a blog post. Sometimes you just need to spice your blog with pictures. If you didn’t know, a video or picture is worth many words. Most successful legal blogs involve the use of video cards that resonate with your blog visitors, subscribers, and social followers. Despite the fact that in-depth articles are desired, incorporating humor in your blogs can exponentially elevate your brand awareness. Taking yourself too seriously in your blogs may not work in all aspects. Most successful lawyers take a step of blogging about their triumphs and other legal experiences. Tips and tricks are other essential blogging tools you can utilize. Not all clients are happy with your daily legal firm news. At certain times, you need to tell them about things they did not know concerning your legal practice area. Your weekly newsletters can help you enhance your legal marketing blog.